Keeping Your Dog from Destroying Your Garden | Good Dog! There's lots to know about dog-friendly landscaping and author Cheryl Smith provides great tips. Many of us love our dogs AND our gardens. But dogs, by nature, like to dig and patrol and engage in behaviors are often unkind to tender plants. There's much that can be done in the planning to insure that your emerging garden is dog friendly and your dog, if you're selecting a breed, is better suited to your mature garden. 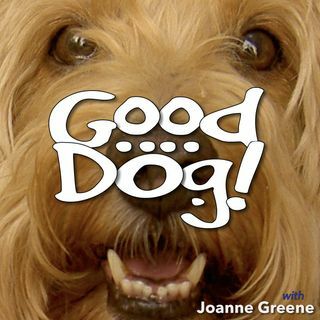 On this episode of "Good Dog", Joanne Greene speaks ... See More with Cheryl Smith, author of "Dog Friendly Gardens; Garden Friendly Dogs" and Cheryl provides lots of information for dog and garden loving listeners.